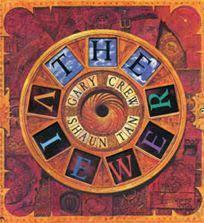 The Viewer - Young Tristan, a curious boy who rescues all sorts of objects from the rubbish dump, finds an old Viewmaster in its elaborate box, complete with a set of disks. He finds that these represent the ages of humankind, seen as a cyclical structure in which patterns of growth and decay are repeated. Tristan becomes more and more drawn in to the world of the disks, and eventually disappears. The story concerns a young lad who loves scavenging and exploring. Finding a Hellraiser-styled box of tricks contains a Viewmaster-type machine, he puts it to his eyes and sees something a lot more serious than, say, a Thunderbirds episode in thirty 3D images, which was all I ever saw in mine. Instead, Tristan sees nothing but death and destruction, and a compelling sense of - well, something. 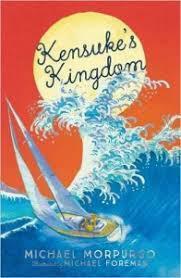 Kensuke's Kingdom audiobook by Michael Morpurgo. Read By Derek Jacobi. Recorded from an audio cassette tape. Academy Award winner, illustrator and author Shaun Tan takes you through the creative process in the privacy of his studio. Shaun Tan's award winning animation 'The Lost Thing' screened with a live music score at the 2011 GRAPHIC Festival on August 20 in the Concert Hall.